I was not a fan of Taken 2 after it essentially felt like a film of leftovers rather than a justifiable premise for a second installment. That talks even surfaced for a third film after critics and audiences alike freely expressed their disdain for the money-grubbing sequel was surprising but here we are two years later and we have the first trailer for that threequel appropriately titled, TAK3N. If you're already laughing you may not want to hit the jump to take a look at the actual trailer as it is clear Luc Besson and his team of writers have sunk to desperate levels in order to come up with another chapter in the Brian Mills story. The problem is, no matter what he does, Liam Neeson automatically brings credibility to it and dammit if I wasn't eventually sucked into the scenario at hand here due to how intimidatingly badass Neeson is able to come off in the trailer. The third film will also feature the credible Forest Whitaker as a law enforcement agent who is after Mills after he is framed for murder, so there might be a chance of some redemption here. Still, before I get ahead of myself we have to take into consideration the fact that Taken 2 director Oliver Megaton (Colombiana, Transporter 3) is back behind the camera leading me to have to hope this isn't as completely forgettable as the second film, but might, at the very least, contain some of the excitement and thrills that made the original such a surprise. Leland Orser, Famke Janssen and Maggie Grace return with Dougray Scott and Jon Gries rounding out the cast. Tak3n moves from the October release of part two back to the early year release date of the original as we will get what Neeson says is the final chapter on January 9, 2015. 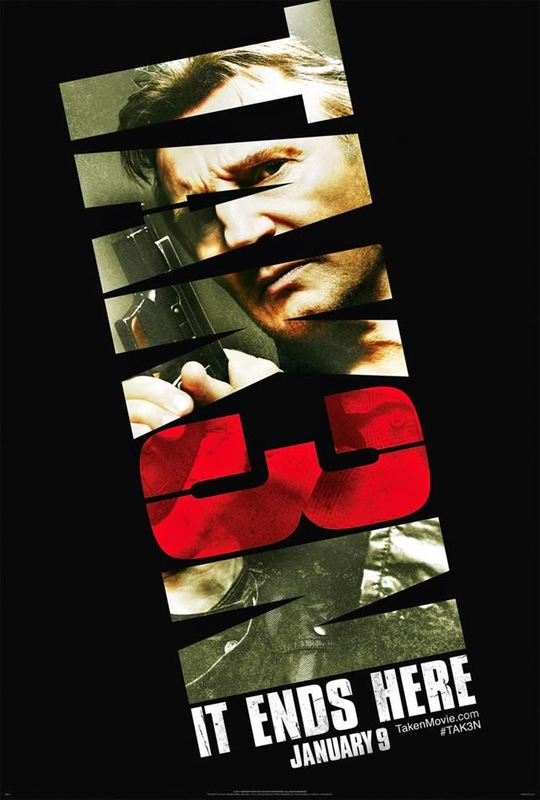 Synopsis: Liam Neeson returns as ex-covert operative Bryan Mills, whose reconciliation with his ex-wife is tragically cut short when she is brutally murdered. Consumed with rage, and framed for the crime, he goes on the run to evade the relentless pursuit of the CIA, FBI and the police. For one last time, Mills must use his "particular set of skills," to track down the real killers, exact his unique brand of justice, and protect the only thing that matters to him now - his daughter.